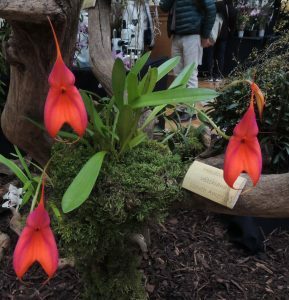 Another Masdevallia species featured on our display today is Masdevallia veitchiana. 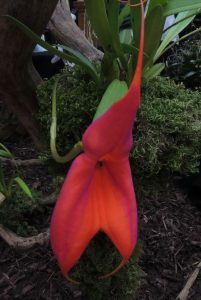 This is one of the bright orange/red orchids we have grouped together as humming bird pollinated species. 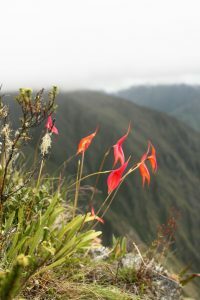 This species is endemic to Peru where it grows between 2000m and 4000m as a terrestrial amongst grasses and we are indebted to Henry Oakley for these great photographs of the species on Machu Picchu. 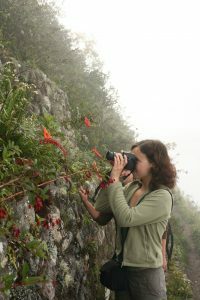 This habitat explains the long flower spikes which carry the flowers well clear of the leaves and in reach of pollinating humming birds.